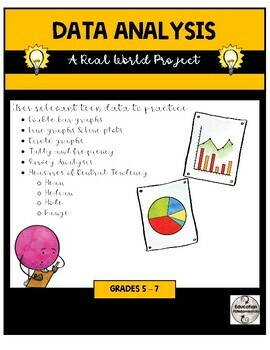 This teaching package contains everything you need to make data analysis relevant to your teen or pre-teen student! 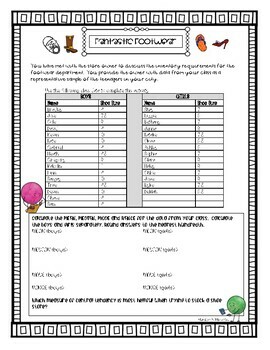 Carefully crafted activities use real-life data from your class as well as generic, yet realistic, data from a fictitious group of teens. The answer key contains specific answers to those using fictitious data; however, answers vary for those activities that require class data. 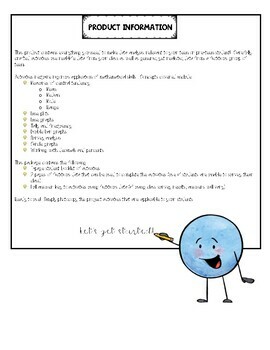 This package is ready to use, simply photocopy the project activities that are applicable to your students.